Can I Go to Canada with a Felony? Any American that has a felony conviction on their criminal record may not be permitted entry into Canada unless they have received special permission from the Canadian government. Even if the conviction happened 20+ years ago, foreign nationals with a felony may never be deemed rehabilitated by the passage of time and risk being denied entry at the Canadian border even decades later. The Canadian border has full access to all the criminal record databases in the United States, so anyone who has been convicted of a felony will very likely be flagged at the border. There are two ways to travel to Canada with felony charges or convictions appearing on your criminal record. The first option is a Canada Temporary Resident Permit, which is a document that enables a visitor with a criminal record to enter Canada for a limited amount of time. You can get a Canada TRP good for up to three years, but you are required to have a valid reason to visit Canada in order for immigration officials to issue you one. The second option is Criminal Rehabilitation, which is Canada's permanent solution for criminally inadmissible foreign nationals. Once an individual has been granted Canadian Criminal Rehabilitation, their inadmissibility problem will be fixed forever, and they can be permitted to cross the border freely again. Criminal Rehabilitation is only available to people who have completed all criminal sentencing a minimum of five years prior, and takes roughly one year to obtain. Have a felony on your criminal record and wish to travel to Canada? Contact our legal team now for a free evaluation. Can I Enter Canada with a Felony Arrest? When it comes to Canadian immigration, there is no assumption of innocence unless proven guilty. This means that as soon as a US citizen or resident (Green Card holder) is arrested for a felony crime, they may be criminally inadmissible to Canada even though they have not yet been convicted of the crime and could very well be innocent. Unless a person has proof of a favorable settlement or "no conviction" result, the Canadian border may refuse them entry if a misdemeanor or felony arrest appears on their record. Being denied entry at the border is never a fun experience, so it is strongly advised that you apply for special entrance permission in advance of your Canadian travel if you have a felony criminal record rendering you inadmissible and you need to travel north of the border. Can You Enter Canada with Felony? Although the Canadian border strictly prohibits foreigners from gaining access to the country if they have a recent criminal record that equates to a hybrid or indictable offense, they are particular stringent on Americans with a felony. This means the absolute only way for a criminally inadmissible felon to ensure successful passage into Canada is to get approved for a Temporary Resident Permit or Criminal Rehabilitation. 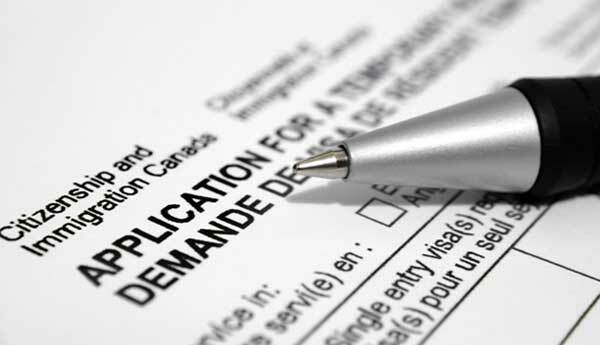 Whether you have been convicted of domestic violence, assault, possession of a controlled substance, robbery, burglary, theft, drug dealing (selling drugs), fraud, manslaughter, tax evasion, arson, vandalism, sexual assault, or any of the other felonies possible, an experienced Canadian immigration lawyer can help you apply for authoritative dispensation via a TRP or CR. Please note: if a possession with intent to deliver or distribute (PWID) charge is reduced to simple possession as part of a plea bargain, the equivalent offense in Canada could still be considered serious criminality depending on the quantity of drugs involved and exactly how it equates to Canadian law. Immigration officials are typically less likely to issue a Canada Temporary Resident Permit to a person with a felony compared to one who only has misdemeanors on their criminal record. This means a felon's application must be excellent in order to demonstrate to authorities that they are properly rehabilitated and do not pose a danger to the Canadian public if permitted entrance. Without official permission for entry, it can also be more likely that a felony record will cause a person to be denied entry compared to someone with a lesser conviction such as a petty theft offense. Entrance to Canada is always at full discretion of the border agent, and if he or she notices that a visitor is a felon, they will likely want to thoroughly screen that person before letting them in, which means the traveler will often be refused admittance and told to attain Rehabilitation before coming back. While a misdemeanor DUI and a felony DUI can both equate to the same crime in Canada, obviously a felony conviction is going to be more concerning to Canadian immigration authorities. Can a Felon Get into Canada After 10 Years? Felons who attempt to cross the international border between Canada and the United States of America may risk being denied entry due to criminal inadmissibility, even if their criminal conviction happened 20 or 30 years ago. Foreign nationals with felonies on their record may never be "deemed rehabilitated by the passage of time", and can be stopped at the border and sent home regardless of how long ago their crimes occurred. Admissibility to Canada is determined by the severity of the equivalent crime north of the border, and if the Canadian equivalency is punishable by a maximum imprisonment of ten years or more, the individual does not qualify for automatic Deemed Rehabilitation. Felons who are adequately prepared to go to Canada, however, may enter the country by way of a Temporary Resident Permit or Canadian Criminal Rehabilitation. Should I Retain a Temporary Resident Permit Lawyer? Many foreign nationals that are unable to travel to Canada due to a criminal record retain the services of a Canadian immigration attorney in order to obtain permission to visit the country. Hiring a lawyer is strongly advised for individuals that have a felony conviction on their record as it will often be significantly more difficult to get approved for admission into Canada compared to a single misdemeanor. An experienced lawyer can maximize your chances of being allowed to enter Canada with a felony by professionally preparing your Criminal Rehabilitation or Temporary Resident Permit application. A Criminal Rehabilitation attorney can also ensure that such an application includes all the required supporting documentation, as Immigration, Refugees and Citizenship Canada (IRCC) asks for a significant volume of information and documents.